Chris Isles, Planning Director of Place Design Group has taken out the ‘Australian Planner of the Year’ award at the Planning Institute of Australia Awards for Planning Excellence. Announced at a gala dinner in Melbourne this week, Chris was honoured for his enthusiasm and passion for planning and his contribution to elevating the profession’s profile and the importance of good planning and planning policy within the broader development industry. “Being named Australian Planner of the Year is a wonderful acknowledgement. It is humbling that my determination to not accept things as ‘that is the way it has always been done’ has been recognised. My journey has required perseverance and determination to keep pushing to make a difference. My interest in the wider development industry and also my resolve to extend planning into spaces and places that it has perhaps not been before, has really helped me to get where I am today,” says Chris. A quiet achiever, Chris has worked tirelessly to be at the forefront of planning in Australia. He has enhanced the profile of the industry, and promoted and built the relevance of planning in what is a complex environment. Having led planning at Place Design Group for the last nine years with sheer passion and determination, Chris has built an impressive client portfolio and vibrant team culture which makes the organisation one of the most sought after teams to be a part of. [urbanRelatedPost][/urbanRelatedPost]Shaun Munday, Place Design Group Managing Director says Chris has been instrumental in the growth of the organisation. “Having joined Place Design Group in 2004 Chris has continued to focus on innovation and leadership. He led our early adoption of technology in planning, and has continued to be a driving force in the development of commercial testing of planning schemes for commercial viability and town centre commercial performance improvement,” Mr Munday said. Beyond his role at Place Design Group, Chris has been active with the Urban Development Institute of Australia in recent years, with his appointment of Vice President in 2014. Chris recently chaired the Brisbane City Council Liaison Committee, overseeing a major submission and engagement process with Council on their draft planning scheme. He has since been appointed by Council to sit on their Planning Scheme Implementation Reference Group. Last year, Chris presented at over 20 conferences and industry events nationally to over 2000 people, on the topics of planning schemes and commercial testing, town centre commercial revitalisation, small lot housing, infrastructure charges, and technology in planning; delivering them in his usual brutally honest and no nonsense approach to planning. Not afraid to challenge or push traditional thinking in planning, Chris’s commitment and boldness to this approach has seen him actively sought after by both private and public clients. 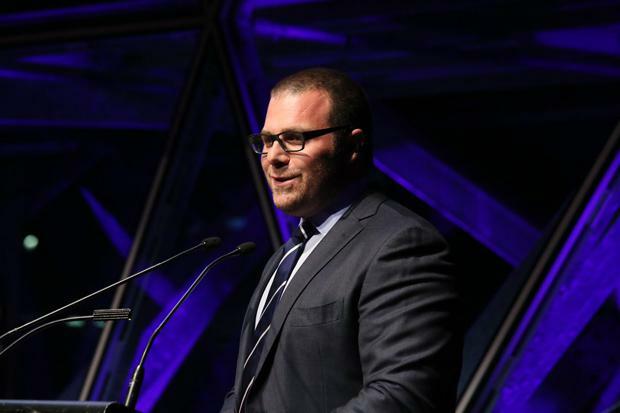 His business prowess was recognised in 2011, when he was named as a finalist as Young Business person of the Year in The Lord Mayors Business Awards and in 2014 as Queensland Planner of the Year. “Chris is one of the most innovative and progressive planners of our time. He has pioneered new approaches to ensuring planning schemes are providing appropriate responses to market drivers and are properly tuned to development feasibility factors. Chris always exhibits the highest standards of personal integrity and drive, and his behaviours and values are the epitome of planning professionalism,” says James Coutts, Executive Director of Planning Services, DSDIP. Leading on from the award win, Chris is firmly focused on driving the adoption of commercial principles into planning, including scheme testing, town centre revitalisation and reviewing how economic development strategies are prepared. Looking at improving the outcomes that planning can create is a priority for Chris as is concentrating on the opportunity planning has to lead our cities into the future, rather than just operating as a regulatory process.